Note: Weight bearing foundation is required. 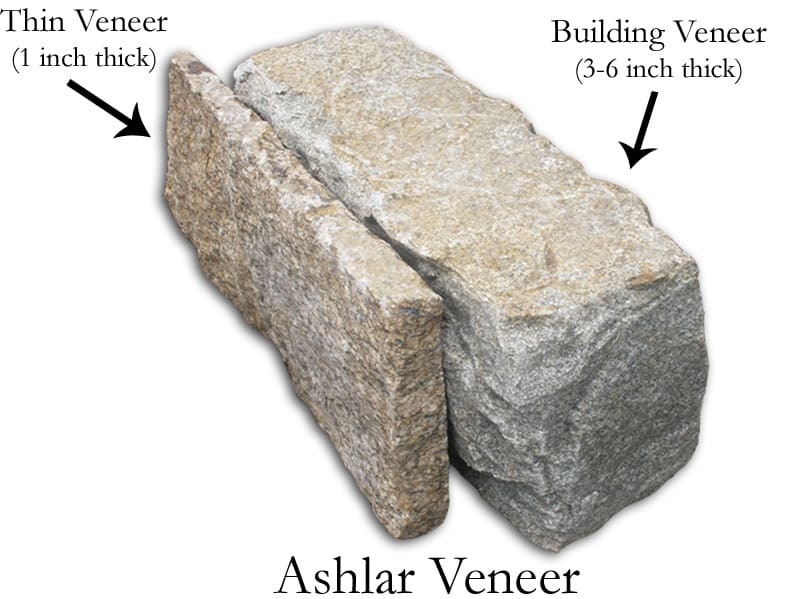 Please see our All Natural Thin Real Stone Veneer which is 1 inch thick and is used for all types of exterior and interior applications. 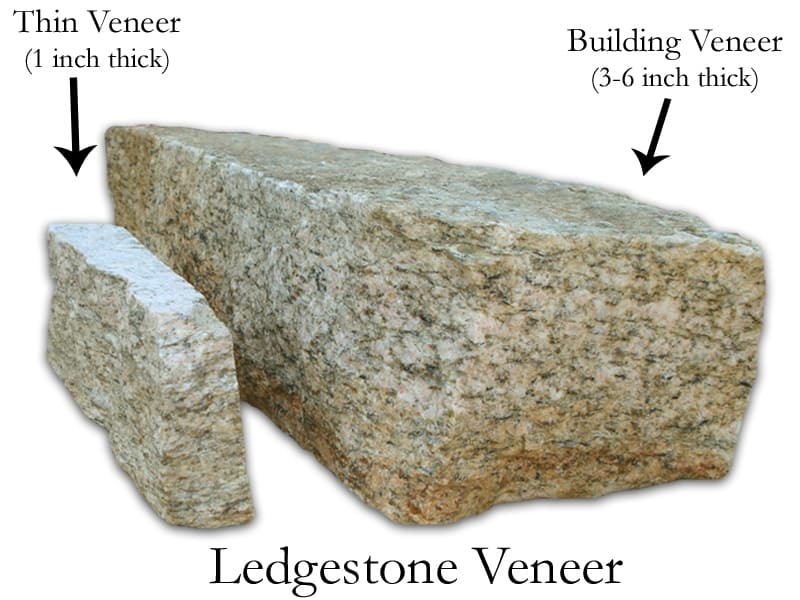 Building Veneer stone is 3-5 inches thick. A 6-inch foundation shelf is required for exterior applications to support the weight of the stone. A moisture control cavity weep system should be installed behind the stone. Coverage is 35 square feet of coverage per ton. Please see our full specifications and our architectural 3 Part Spec for Building Veneer. 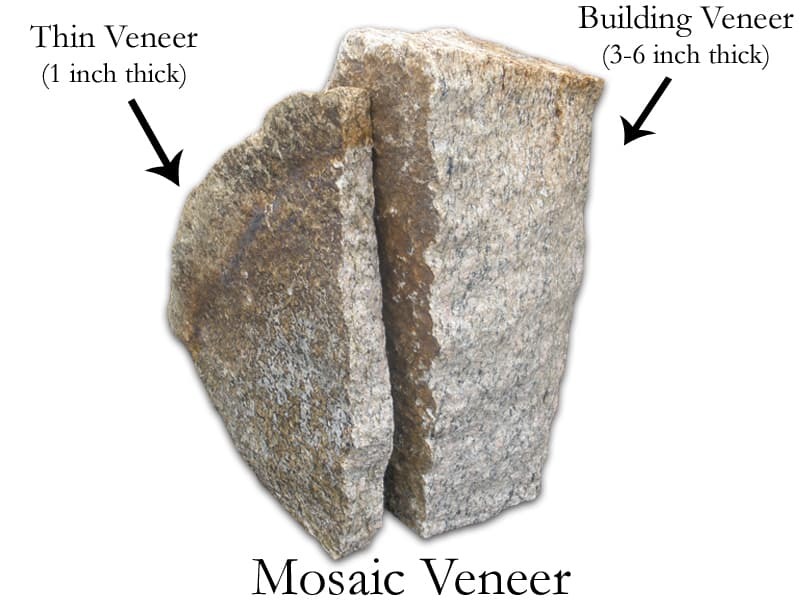 Like our Thin Veneer, building veneer starts as natural stone from the farms and fields of New England. While some of our pieces of building veneer are hand sorted, other pieces must be snapped to deliver a consistent depth. Building veneer is considered 100% face stone because each piece has a suitable face. Reduce Shipping Cost. 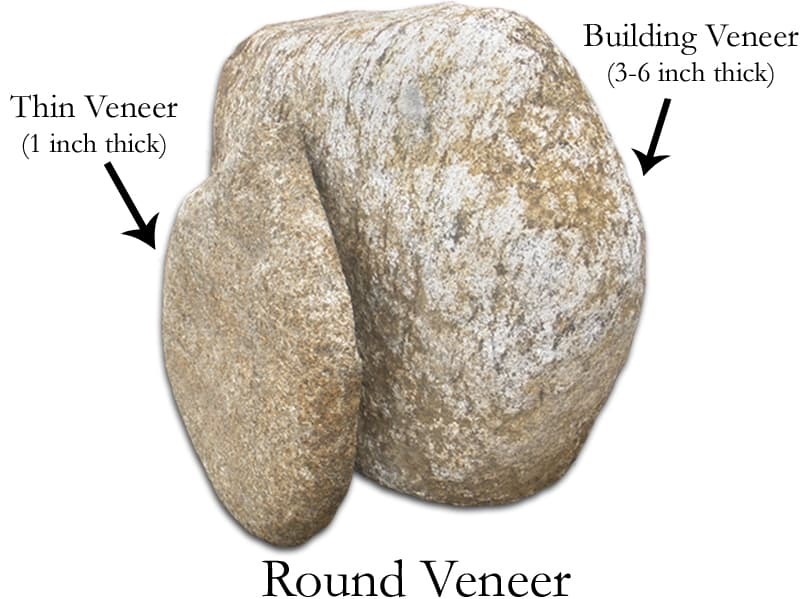 Each ton of Building Veneer covers 35 square feet of face. 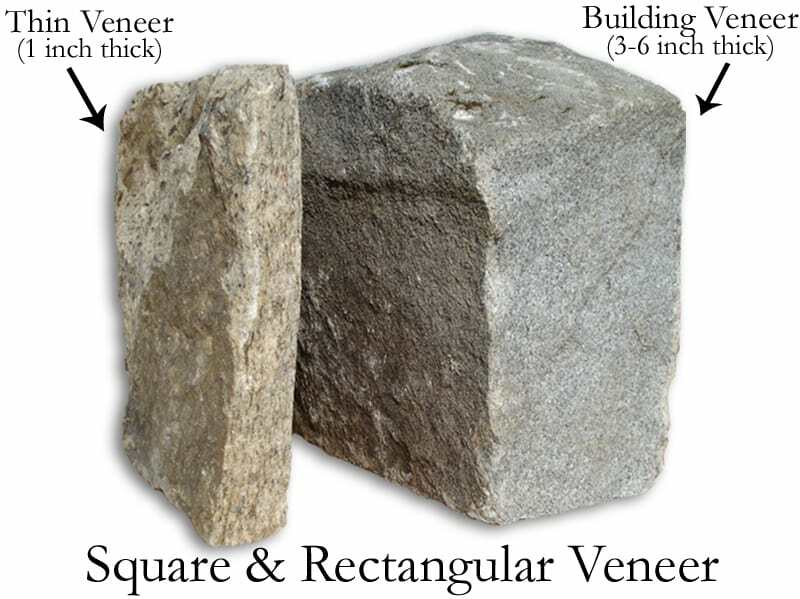 Compare that to Wallstone at 15 cubic feet per ton and faces that could reach 18 inches in depth. Less waste. Pre-processing stone before it lands at the job site will prevent a mason from wasting time processing stone with inefficient tools on site, and allows us to use highly efficient machinery and systems in our shop, saving the project owner money in the end.